The CD05 Series Power Take-Off is a constant drive (non-shiftable) PTO designed to fit tight mount applications like the Peterbilt 320, Autocar LCF and the Hino 338 chassis. The CD05 uses the same components as the CD10, but is approximately 15% smaller without the loss of torque or horsepower. With torque ratings up to 360 Ft. 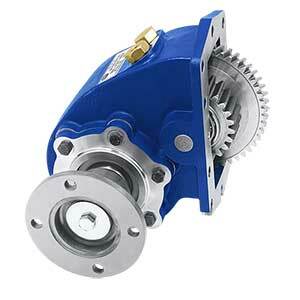 Lb., the CD05 PTO can provide power and versatility for the most demanding applications.